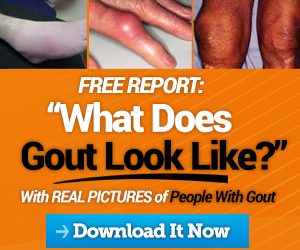 Gout newbies and veterans alike, are easily ambushed by gout. If you have been livin’ large for a number of years and suddenly find yourself the newest member of The Gout Club, or if you’re one of those folks who have been doing so well for the last year or two and now you’ve been rudely reminded you’re NOT impervious to gout, this post is for you. So what were your plans for the holidays? Gout has a nasty habit of ruining your plans, and it really doesn’t care if it’s the holidays or not. 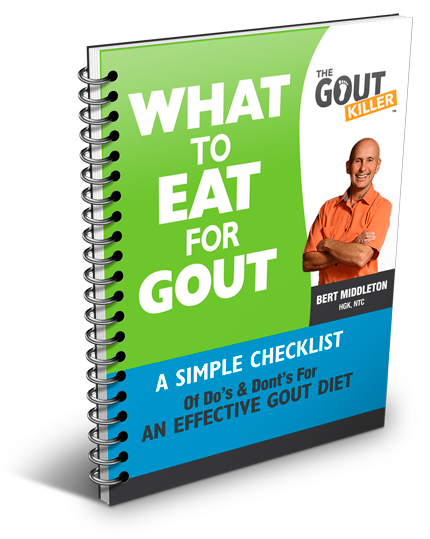 There are a lot of telltale signs and symptoms of gout that, had you known what to look for and pay attention to, you could still be right there, in the game, having a good time with all your family and friends. Instead, the worse thing, is having them snickering and laughing while you’re hobbling around, drinking tea. First of all, sorry that I don’t communicate with you more often, I’m pretty bad about that sort of thing. Wanted to give you my thoughts on the 1.28.13 remarks – the pain (like no other), loss of work time, interfere with relations. I have another ”side effect”. Embarrassment! When I must go to work with all the pain hobbling around hallways, stairs, etc coworkers will always ask ”what’s wrong”. It’s embarrassing to me to say I have gout (since the average person assumes you do something wrong to get gout). I used to come up with the ”sprained my ankle or knee” excuse. Anyway, thanks to your advice and guidance my attacks have become much less frequent and less severe when they do happen. Thanks and keep up the great work!!! The fact of the matter is, between watching what you’ve been doing for the last few days and weeks, as well as paying attention to those little twinges of pain in your feet, ankles, and hands, you could easily make the correct adjustments to how you are going about things that could have helped you avoid another messy gout attack. Gout is trying to tell me something? Yes, gout is trying to tell you that there are worse things around the corner if you don’t tidy up your act now. 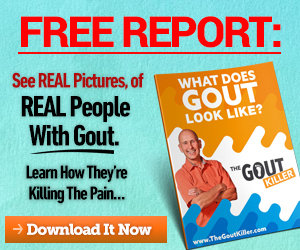 Gout is sort of whispering that you are headed for being diabetic, or headed for a heart attack, or cancer or stroke…the time is now – LISTEN to your gout! 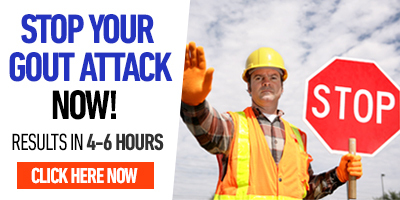 Slow down on your alcohol consumption. Your poor old liver is screaming for some relief. If you really have to drink, drink red wine. Get to bed. I know, I know…all the parties! All the good times! Yeah well, how good are the times going to be if you’re down for the count, blubbering and slobbering due to the merciless pain of a gout attack? I rest my case – go home, get to bed. What ARE you eating? All those party foods are full of sugar, low quality refined carbohydrates, and all sorts of other nasty chemicalized crap. Only eat the fresh foods that are basically fruits and vegetables in their natural form. (no, the apple pie doesn’t count) Fruits and vegetables are loaded with antioxidants – seek them out and steer clear of gout! Those three points; quantity of alcohol, volume of sleep, and the foods you’re eating – if you are paying attention, you know you’re headed for gout if you’ve been drinking enough to get drunk every night, (yeah I know, you have a real “high tolerance” to alcohol – sure gout boy, whatever you want to tell yourself) not getting good, deep sleep, and predominantly what you’ve been eating is processed foods…if all that is happening, you’re all teed up for a gout attack this holiday season. And, if you’ve been on that path, and you’re starting to get those scary little aches and twinges of pain in your feet or hands, especially in the morning when you wake up, don’t ignore them! That could very well be the start of uric acid crystallizing and rolling into a gout attack. If you are getting that kind of communication, you need to get busy with the Kill Gout FORMULA! Breathe. Keeping your blood oxygen saturation up is the first step toward keeping gout at bay. A practice of full, complete, deep breathing several times a day is your starting point. Water. Our bodies are more water than anything else – too bad we all drink WAY more alcohol, coffee, soda, and “energy” drinks than water. Which incidentally, those drinks are diuretics and cause us to become even more dehydrated! Drink half you body weight in ounces every 24 hours. KCCO – “keep calm and chive on”…not like I am a big chiver or anything, but the saying does have merit when it comes to killing gout. Stress – especially around the holidays – is a very real cause of gout. Stress hormones alter our biochemistry and not always in good ways. Taking time to breathe, get to bed, and stay out of physiologically and psychologically stressful situations, can be a very important step toward staying gout free this holiday season. 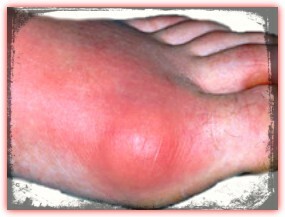 ☆ Remember: Gout is no holiday…but if you pay attention, it just might save your life. Spot on! I had a couple of Major gout attacks 18 months ago and have followed Bert's advice since and only had 1 incident that was absolutely due me not following his advice. I drink 3.5 liters of water per day religiously (working in ACV and lemon juice) and that is the key. I also try to watch sleep but hard due to a demanding job. It is pretty easy to otherwise listen to your body and slow down other behaviors when you start to go astray. I have family members on medication and many people say it is impossible to control without medication. Wrong! Thanks Bert! WOW! Thanks Eric, but really - it's all you bro! 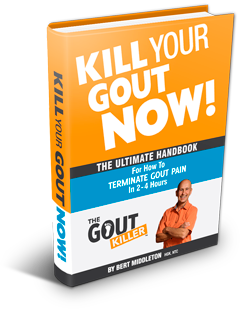 Your commitment and discipline is what is killing your gout - I'm just the cheerleader! Go Eric GO! Is it normal to get gout in both ankles? ?